It's a little thank you from myself to my followers for all of your support throughout the year which I really appreciate. It's a great way to win a treat for yourself or to put away a little something for a loved one to wrap up this December and pop under the tree. 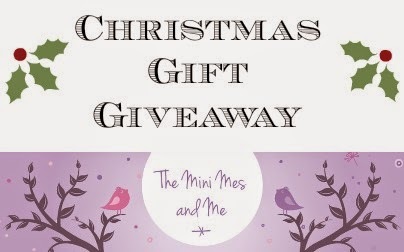 Each day throughout November there will be a new giveaway, all of which will end on 10th December 2014 which gives you plenty of time to enter and plenty of time for me to arrange the postage of prizes in time for Christmas. 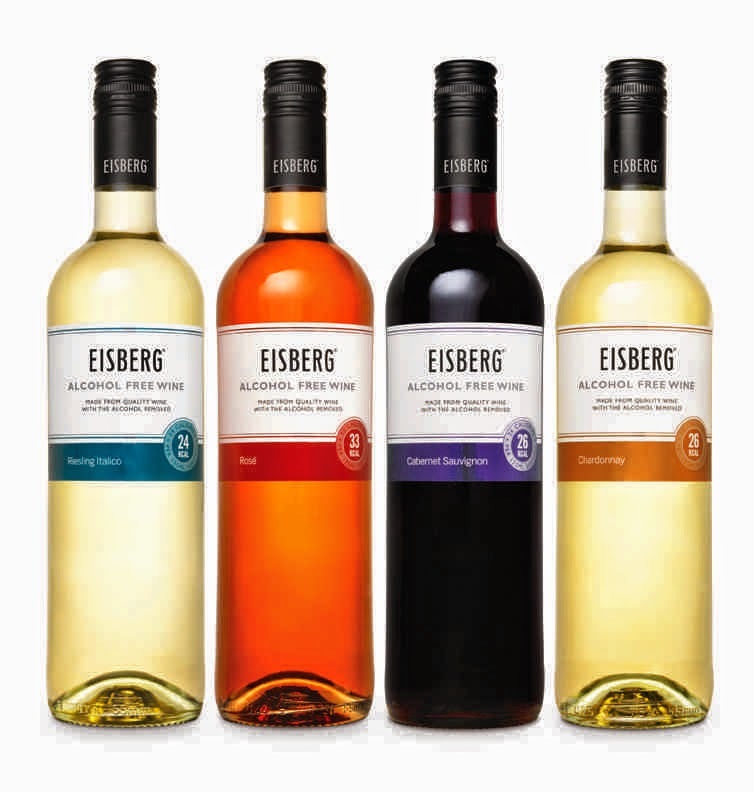 Eisberg is made like your favourite wine, the only difference is the alcohol has been removed at the end of the process. This is ideal for those driving this Christmas, for midweek drinking minus the hangover and also those that are pregnant or avoiding booze for other health related reasons. Each 125ml glass contains less than 34 calories and 0.05% alcohol - it has the flavour without being calorific! There are four varieties available; A refreshingly aromatic Riesling, a crisp Chardonnay, a juicy succulent Rosé and a fruity red Cabernet Sauvignon. Something for everyone at the dinner table. Note: If you don’t have a slow cooker, use a casserole with a tight fitting lid and cook in the oven at 150oC for about 3 hours, ensuring that there is enough liquid in the dish. Once you have added the shallots and mushrooms, turn up the heat to 180oC for 45 minutes to 1 hour. For your chance to win the entire Eisberg collection you can enter via the Gleam entry form below. I love the recipes, they have given me lots of inspiration! I have enjoyed the recipes. I like the recipes, in particular the Salmon and Gnocchi Bake as I like to see the creative way other people use ingredients like gnocchi. I always love your recipes. I found your recipes very inspiring and it make me to give a more try in the kitchen. I love your recipes they are so easy to follow, especially the doughnuts. I love your recipes - I'm always looking for new ideas. Recipes....the chocolate marshmallow fudge. nom. 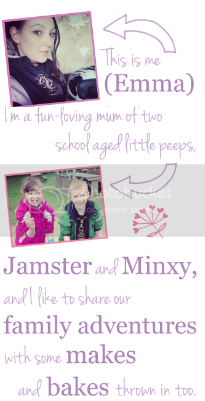 I love the craft blogs, My grandson is two and a half and ideas for keeping him busy are most welcome!! All of the kids crafts posts - I'm all for arty stuff and don't mind mess. iirc the dinosaur one was a favourite with my two. I am most interested in recipes. Thanks for the great posts! I definitely love your recipes! I love reading reviews. Always lovely to read what people think about things before buying them. I also love recipes. I'd like to see more clever short cuts... shopping, or cooking or housework. We are all busy enough to need life hacks! I love your recipes and reviews, keep em coming!! I'd love to see more children's book reviews as we are always looking to discover new and interesting books for toddlers. I'm a huge fan of your recipe posts - inspiration on tap when I'm stuck for something to make! I enjoy your crafting posts. I like having a go with my daughter, though I'm not very artistic. Can I just ask though, if there's a way to re-find and explore each section easily, as my instinct is to right click and open tabs for different post but that's prohibited so I do find it very hard to find posts? I' love the recipes but would like to isee some gluten free ones please. I like the recipes. I may not have all the ingredients, so my versions, have abit of variation. I enjoy the craft posts as it gives a lot of great ideas and I always like seeing what you come up with next. Love the craft posts and the recipes! Thank you! This is my favourite blog post so far. 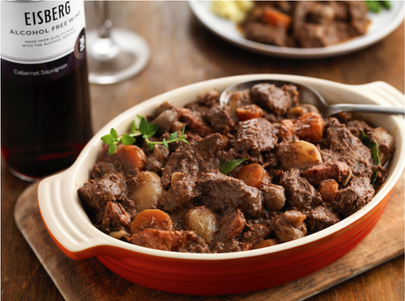 My husband loves Slow Cooked Beef in Red Wine so this will go down realy well! I've not been around for that long but i do like reading reviews on blogs the most. Love the ideas for cooking. I like the Reviews, It gives so much insight. Recipes I like seeing what I can try and make. It's good to know what the finished bake is supposed to look like. 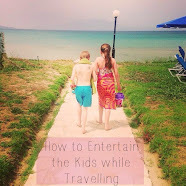 I like things to do with kids - advice and reviews! I've enjoyed your travel blogs, I too enjoy going away and its always nice to get some feedback on a particular place. i love the craft ideas and the recipes, i especially liked the jam doughnut recipe. Gluten free recipes would be great. 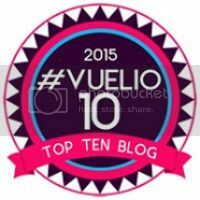 Amazing blog, one of my favs, I particularly enjoy the recipe feature that give me ideas for tea! I love reading your reviews and of course your competitions! I've enjoyed your reviews of toys & would like to see more, particularly for under 4's. I love your recipes and would like to see more I could make for adults and children to eat together. I like any ideas for crafting with children. The baking posts, never have managed to master the cake pops though! I loved your toilet roll crafts, the owl one. I loved a lot of the recipes, and the pictures to go with them, make my mouth water! The crafts and recipes are my absolute faves - loved the loo roll owls! The craft posts and recipes. More slow cooker recipes would be fab! Yum, will be trying this at the weekend! Recipes, crispy spinach and feta pie. Healthy meals. Reviews are always interesting - and useful! I love the recipes and the competitions! I love all your crafts, and recipes!! It has to be the recipes, love the slow cooker ideas. I love travel so more great places to visit and to dine at in this country would be great to read.